Copyright notices are everywhere on the web, and you can find them at the bottom of most websites and applications. Without a copyright, you leave your WordPress blog open to online thieves who might try and use your content as their own. Copyright. Think of this as proof of ownership over the content you create. 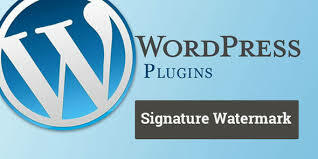 For example, if you’re running a WordPress website you can copyright your graphics and content. On top of proving you’re the owner of your content, copyrights also govern how others can reproduce, imitate, and distribute it. 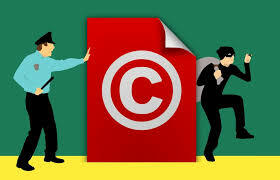 Different types of copyrights you can use to protect your WordPress blog. You know that the content on your site is valuable. That’s why you do things like protect your images from theft. But for those of you who have additional content of value—like web designs, logos, copy, custom video content, etc.—you should know how to keep them safe as well. Copyrighting a website essentially means you get to claim ownership over its content, including text and graphics. Here are two reasons why this is a good idea: It provides you with a legal basis to protect your content. With a copyright in place, it becomes easier to enforce legal action if someone publishes your content without authorization. What types of Content Does a Copyright Protect? You can copyright any originally created content, including images that you’ve created yourself and any blogs you’ve written. There is a possibility that your entire site could be copyrighted, but you’d have to be able to prove that every single aspect of your site is indeed original, from your codebase to your content and images to even the layout of your site. Below there are multiple methods you can employ to copyright your WordPress blog, along with protecting your content to avoid any copyright infringement of your original work. 1. Include a clear copyright notice on your site. When you install a WordPress theme you’ll probably notice a copyright symbol at the bottom of your blog. Almost all themes are equipped with a copyright notice. You will be able to change this to the name of your own blog within the blog theme settings, or by adjusting the footer itself. 2. Use an appropriate Creative Commons License. Similar to the previous option, you can designate precisely what kinds of use you will and will not allow and adopt a recognized license that meets these requirements. Free licenses may be obtained via Creative Commons. Even if you decide to obtain and use a Creative Commons License, it is recommended that you still include a copyright notice, as illustrated above. If you want to bring legal action, then you’ll need to individually copyright each blog post. To do this you’ll need to submit and file an application with the U.S. Copyright Office. You can submit your registration for multiple blog posts at once through the copyright office. If you have a very active blog, then you’ll probably want to do this a couple times per year. It will cost money, but for blogs earning you money, the expense is minimal for the protection it affords. In plain words, this can be your business name, logo, brand mascot, or product name. Your name cannot be too similar to an existing trademark. It needs to be unique and not too generic. You can file an application at the United States Patent and Trademark Office. It is a lengthy process, but one that might be worthwhile for large blogs. DMCA stands for Digital Millennium Copyright Act. This gives you right to issue a takedown notice to any website that’s passing off your original content as their own. The DMCA was introduced back in the early 1990’s. It has a lot of moving parts, but the takedown notice will probably be most useful to you. Any damages, including costs and attorneys’ fees, incurred by the alleged infringer, by any copyright owner or copyright owner’s authorized licensee, or by a service provider, who is injured by such misrepresentation, as the result of the service provider relying upon such misrepresentation in removing or disabling access to the material or activity claimed to be infringing, or in replacing the removed material or ceasing to disable access to it. One great way to protect your content is to make it impossible to actually copy it. You might have seen this before when you try to right click on a website and you’re unable to actually copy it. Typically, this is because they’re using a WordPress plugin that actually stops this action. For protecting your written content you can always install a WordPress plugin that will prevent visitors from copy and pasting your site’s content.The ability to highlight and right-click on any content will be completely blocked. There are a few plugins you can use to accomplish this, WP Content Copy Protection, Content Copy Protection & No Right Click and Prevent Content Theft, WP Content Copy Protection with Color Design. If you’re uploading original images or artwork to the web, then it’s highly recommended to add a watermark. There are plugins and online tools you can use, but usually, this will result in a less clean image. A small watermark can go a long way. That way if anyone does try to steal your original images you’ll have the watermark to prove it. Plus, having watermarked photos and artwork makes it less likely for people to steal them in the first place. You can use a WordPress security plugin like All In One WP Security and Firewall, which has the ability to turn on hotlink protection. You can use the service’s search feature to check for unauthorized copies of your pages and/or include a free banner on your site. There are also paid services, including automatic web monitoring.